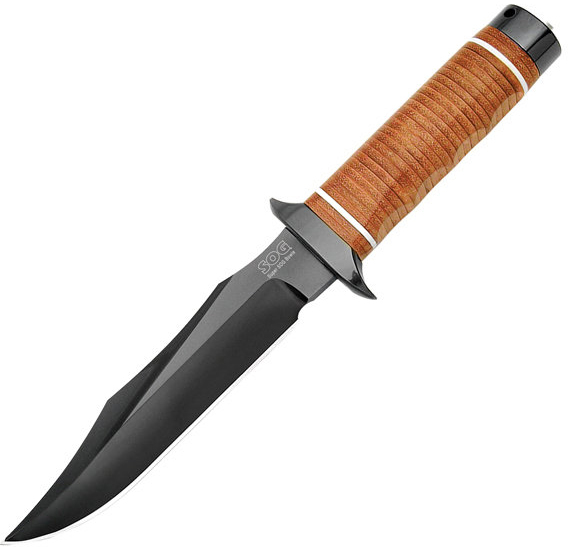 For their 20th anniversary SOG launched this new adaptation of the original SOG Bowie that founded the company. This new large format 7-1/2" blade will stun you with its exacting construction and precise grind lines. Unlike the originals, all parts are protected with a hardcased black TiNi coating that is the very best for appearance and performance. The stacked leather washer handle is completely traditional.